With the breakup of the Soviet Union in 1998 and bringing independence to Tajikistan, Communism Peak was renamed Ismail Samani. However, names are hard to change in the climbing community and Communism Peak is still used today. Rising to 7495 m (24,590 ft) above sea level, the mountain is the highest peak in the Pamirs, and the highest in the former Soviet Union. It is located at the junction of Academia Nauk and Pyotr Pyervy ridges and so remote it took explorers 20 years to find a way to it. 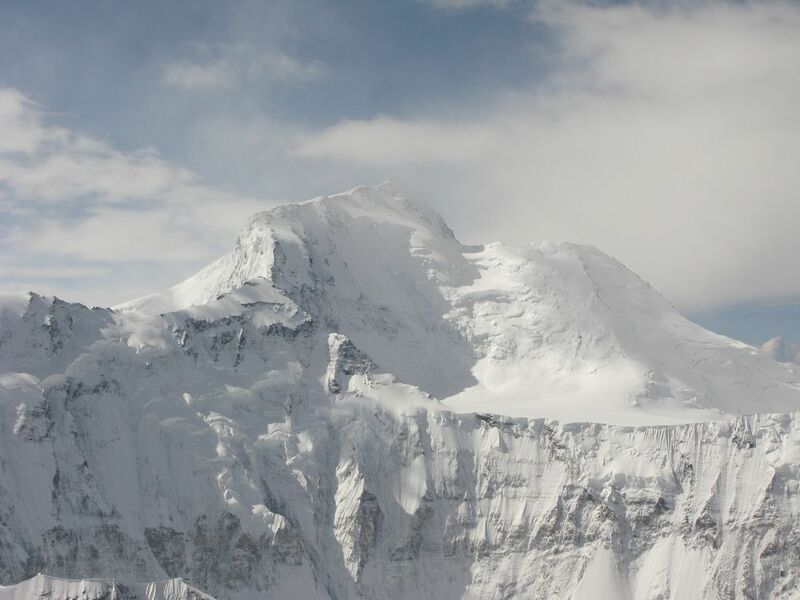 Communism Peak is a huge craggy mountain and heavily glaciated despite it rising above a dry, barren region. 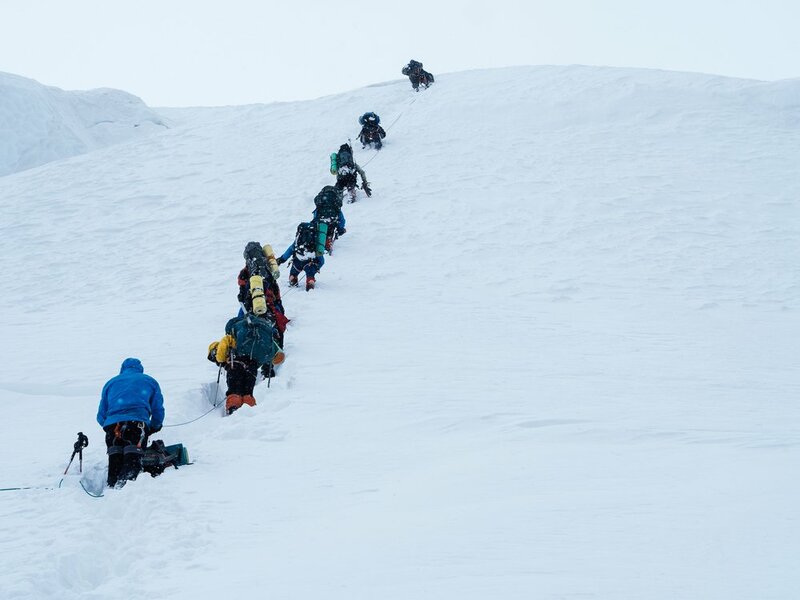 The rock is poor and the approach difficult, but because it is the highest of all the peaks in the region, climbers have been attracted to the mountain for decades. There are a variety of routes to the summit. Even with its remote location and being the highest of the five 7000 meter peaks in Central Asia, it has been a goal of serious mountaineers. 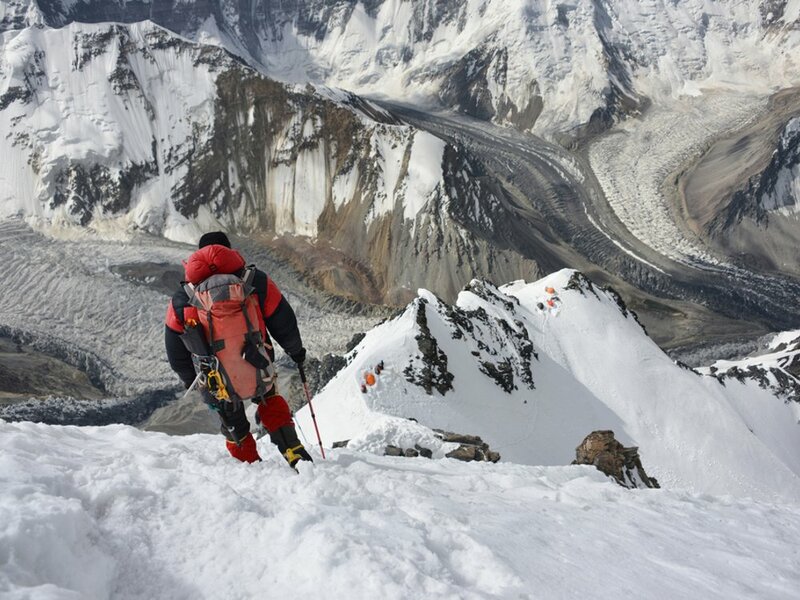 Successful climbers of all five peaks gain the title of “Snow Leopard”. The safest route for Communism Peak leads from the Walter Glacier bivouac at 4500 m (14,764 ft) and across the Big Pamir Plateau at about 6000 m (19,685 ft), 3 km wide (1.9 mi) by 12 km long (7.5 mi). 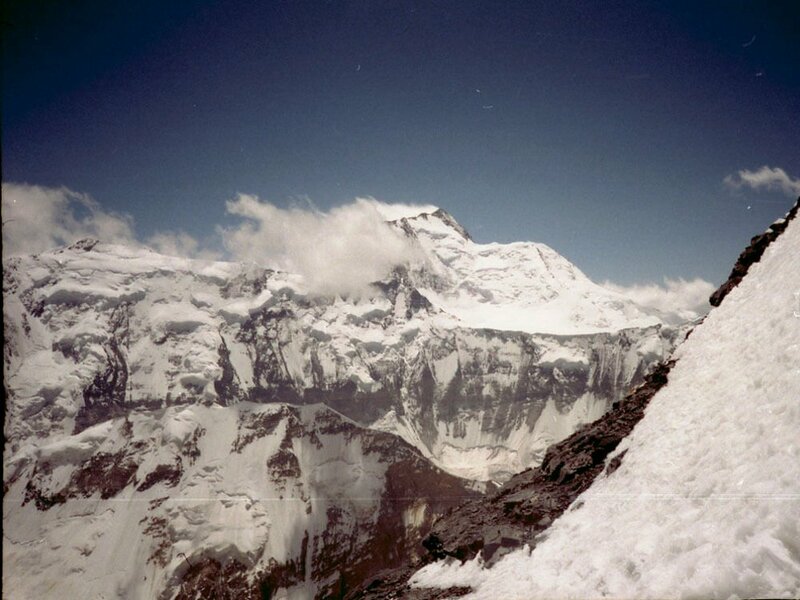 The ascent of Peak Dunshabe at 6950 m (22,802 ft) is reached by a long and steep ice slope. Hike up Walter Glacier and traverse through the northern slope (4 — 5 hrs). 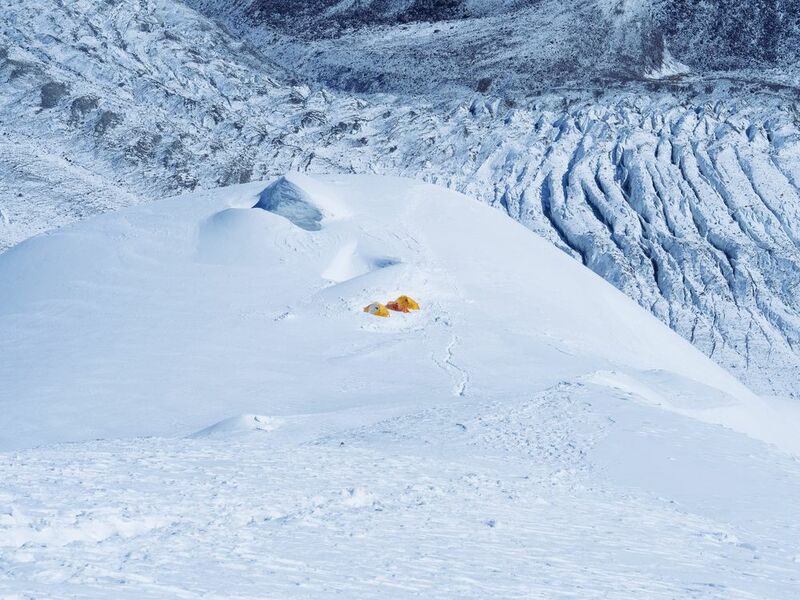 Camp 1 at 5100 m (16,733 ft) — hiking up by the right side of the moraine of Walter Glacier. Crossing the glacier by the ice plateau under the walls of Pamir Big Plateau. It is necessary to cross it as early as possible and at maximum speed. Further, the route follows by a rock section to the crest (about 6-7 hours). 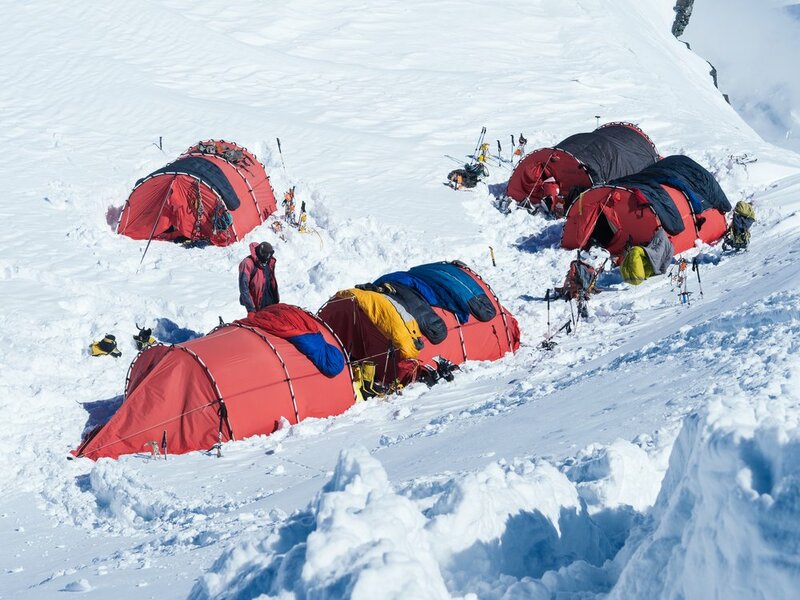 Camp 2 at 5800 m (19,029 ft) — northern ridge (4-5 hrs). This part of the route is technically not too difficult, wide snow crest with parts of 35-40 degrees steepness. The camp is located in mould. 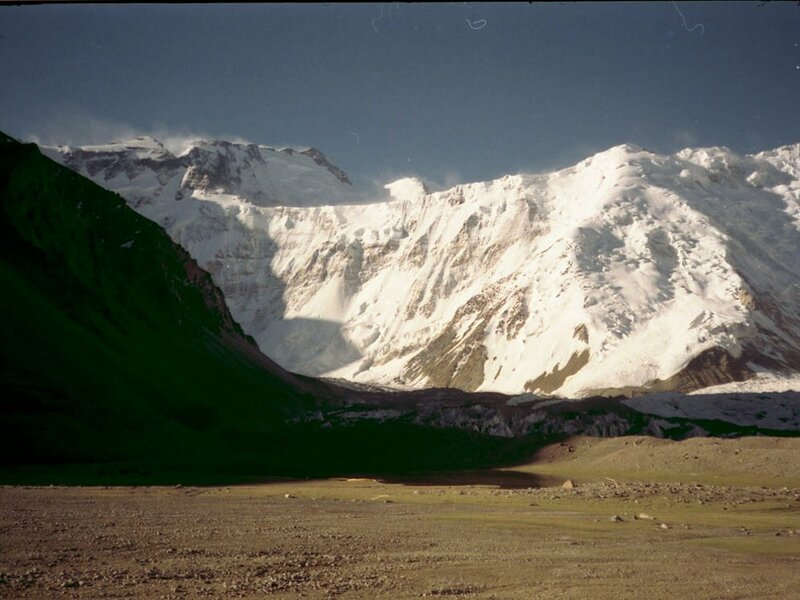 Camp 3 at 6100 m (20,013 ft) — Pamir Big Plateau (4-5 hrs). Early start and ascent to the two-headed summit. Climbing in roped-party. Traverse to the left to the top and then descent to Pamir Big Plateau. 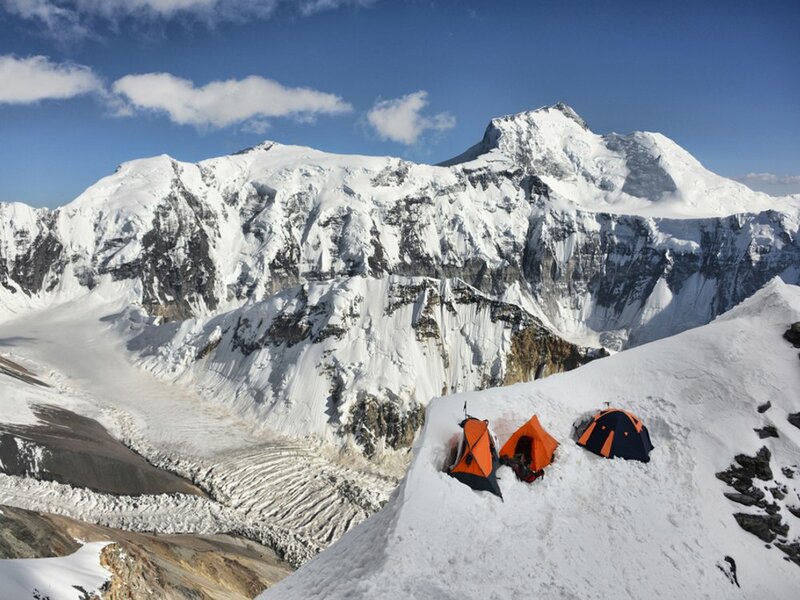 Camp 4 at 6700 m (21,982 ft) or 6900 m (22,638 ft) — northern snow/ice slope of Mt. Peak Dushanbe (7-8 hrs). Early start. Climbing in roped-party. The ascent is technically easy. After ascent to Mt. Peak Dushanbe at 7000 m (22,966 ft), descend to Camp 4. Ascent to summit with early start. The route climbs up the steep snow slope to the rocks. Above this, there is an exposed part leading to the summit. Back to Camp 4 (8-9 hrs).